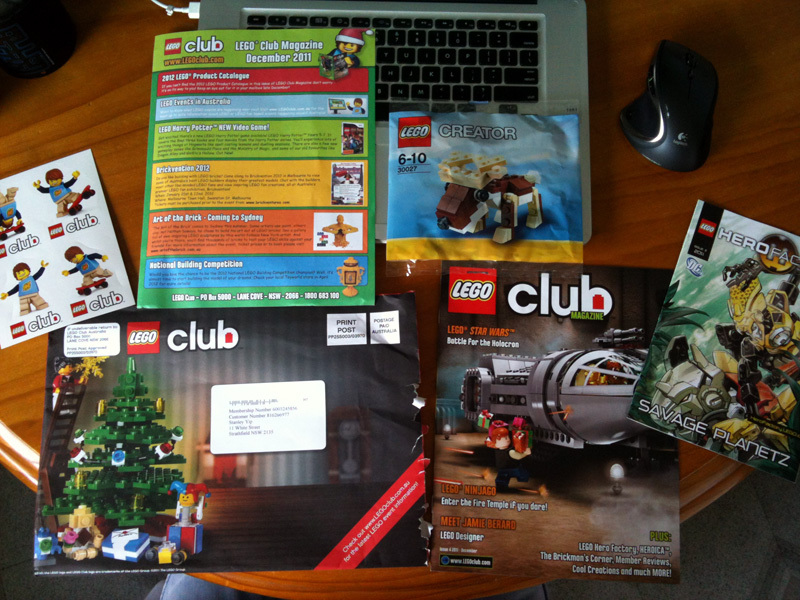 Just received my latest quarterly Club LEGO magzine. I always enjoy the end of year edition as they include a LEGO set in it. Last year was a snowman this year is a reindeer.